New South Wales will establish its own productivity commission in order to tackle issues such as housing affordability, lower living costs and attracting business to the state. The Berejiklian government will tackle regulation and drive productivity in an attempt to expand the state’s economic prosperity, NSW Treasurer Dominic Perrottet announced on Monday. “We need ongoing reform to continue to fuel our state’s economy and improve living standards for everyone who lives and works here,” Perrottet said. Perrottet said the Commissioner will ensure a user-centred approach to regulation that is responsive to users’ needs and changes in the market. “This means a light touch approach that is focused on outcomes rather than on rules,” Mr Perrottet said. The NSW Business Chamber has estimated businesses spend over $10 billion each year complying with regulations across all levels of government. The commissioner is yet to be appointed and the Treasurer also announced a soon-to-be-appointed chief economist for the state. Developer lobby group, Urban Taskforce, announced its support for the proposal. Chief executive of the Urban Taskforce Chris Johnson said that the commission could dramatically help with housing supply. 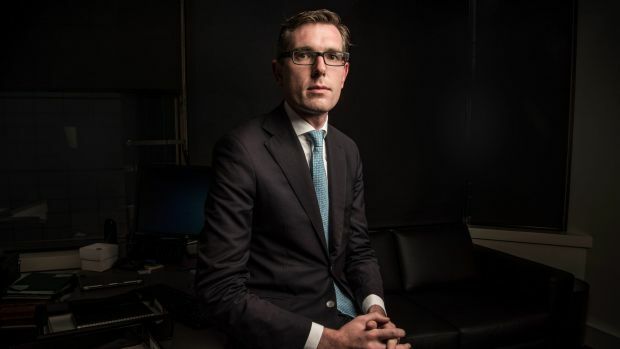 “The proposal by NSW Treasurer, Dominic Perrottet, to set up a state version of the successful Productivity Commission that operates at the federal level is good news for the supply of housing across the state,” Johnson said. The Property Council of Australia also welcomed the announcement which should help ensure that NSW is best placed to grow and continue to build a strong and resilient economy. “While the rise of house prices has slowed in NSW, a home is still out of reach for too many in our community and that means there is still work to be done; the accumulation of local and state levies on housing and the still “bottom of the pack” planning system should be important initial areas of focus for the Commission,” Property Council NSW executive director Jane Fitzgerald said. The Australian Industry Group said that a NSW Productivity Commission would help “shine a light on costly regulation”. “NSW needs a framework for generating wealth and jobs beyond the infrastructure build that is currently dominating the state’s economy,” head of Ai Group NSW Mark Goodsell said.